Below are locations on or close to the lake. Cullman and Jasper have many options if you venture into one of the small cities. One of the local favorites. The parking lot is full for a reason. This place is just what you think it would be…just good, classic food. Please make your way to Arley if you are located anywhere close. Brothers is a restaurant and marina combination. This spot was created in 2018 and is the third restaurant on the lake where you can buy a beer or cocktail with your meal. Brothers at Smith Lake is the second restaurant owned by these guys and they are bringing good food and drink to the lake. You will also find live music on a regular basis. Brothers is located just across from Smith Lake Park in Cullman County. “Don’t judge a book by it’s cover” is perfect for Chef Troy’s. You may wonder what all the fuss is but the full parking lot will tell you all you need to know. Chef Troy’s is well known in the Smith Lake area for providing quality and delicious food. They have an extensive menu with something for everyone. 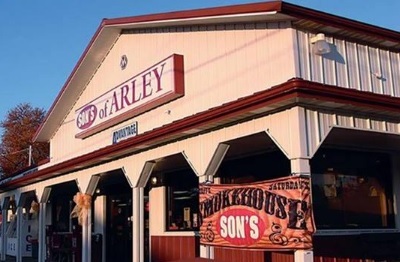 Make this one of your stops while at the lake….I guarantee you will enjoy! 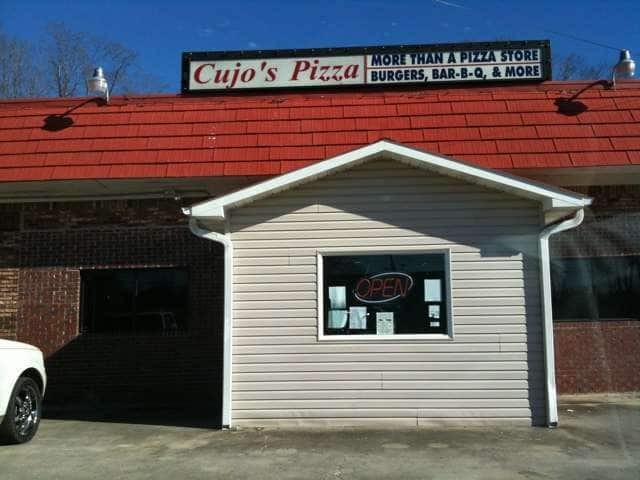 If you are in the Curry area or close to Duncan Bridge, come visit Cujo’s Pizza for great pizza and subs. This is one of the local favorites yearound and has a large lake following during the lake season. My favorite is the Ham and Cheese. Cujo’s sits at the intersection of Smith Lake Dam Road which is one of the entrances to the lake. The kids will love the video games and pool tables. Cujo’s is family friendly. Goldiggers is located at Lakeshore Marina close to Double Springs. If you are staying on the lake close to the Marina I highly recommend Goldiggers. They have a large dining area and one of the best outdoor dining decks on the lake. My favorite is the hamburger steak! You can enjoy a beer/wine/cocktail with your meal. Goldiggers has live music on many weekends. You can arrive by boat to this great spot located at Trident Marina by Big Bridge on Ryan Creek. The picture is of the current structure, they have big plans (summer 2020) for The Trident Club that you can check out on their website. Food here is always quality and very good. Be patient in the summer as the kitchen is small and demand is high. My favorites are the Blackened Shrimp Po-boy and Blackened Fish Tacos. They have live music most summer weekends and have outdoor seating that is lakeside. The Grill is also one of the 3 places on the lake where you can get a beer/wine/cocktail. Kat Daddy’s is about 3 miles from Trident Marina/Big Bridge on CR 222. The atmosphere and food is very casual and delicious. 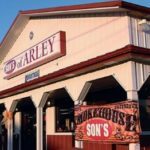 You can get a great BBQ, fish, steak or hamburger. The staff here is always friendly and prompt. If you are on the Cullman side of the lake then you want to make it here one night or call and pick up a take out meal for the entire family. One of my favorite spots and probably where I eat the most. You can stop in for a quick “chicken box” of chicken fingers and potato logs, BBQ sandwich, or piece of pizza, or various other prepared sandwiches. You can go to the deli and get a meat and three, wings, BBQ by the pound, potato salad, and other freshly prepared items. Duncan Bridge Marina…located by Duncan Bridge north of Jasper. 24/7 gas. Duskin Point Marina…located off Smith Lake Dam Road and about 2 miles from the dam. 24/7 gas. Trident Marina…located on CR 222 where Big Bridge crosses over Ryan Creek. 24/7 gas. Squirrels Marina…located next door to Duskin Point Marina. Why are new lake homes SO expensive! Winter is the best time to look for a house or lot on the lake!! Which is the best website for finding property on Smith Lake?